New, spacious apartments in the village centre with complete furnishing, children’s playground & free HolidayPass. 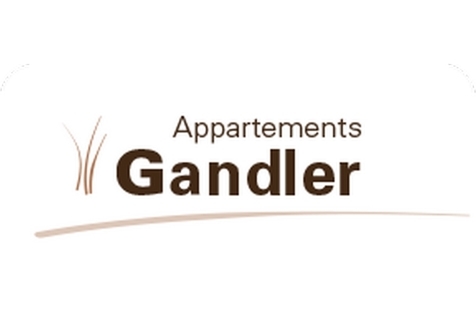 Welcome to Apartments Gandler** in Olang! The new and spacious apartments in the centre of Mitterolang in the heart of Pustertal Valley are an ideal destination for your winter and summer holidays in South Tyrol. Although they are located in a quiet position, the restaurants, shops and bars of the village centre are only a few steps away. All apartments are equipped with a complete kitchen, safe, balcony, sat-TV, bathroom with shower and WC and mostly with two separated double rooms, or bedrooms with three or four beds. 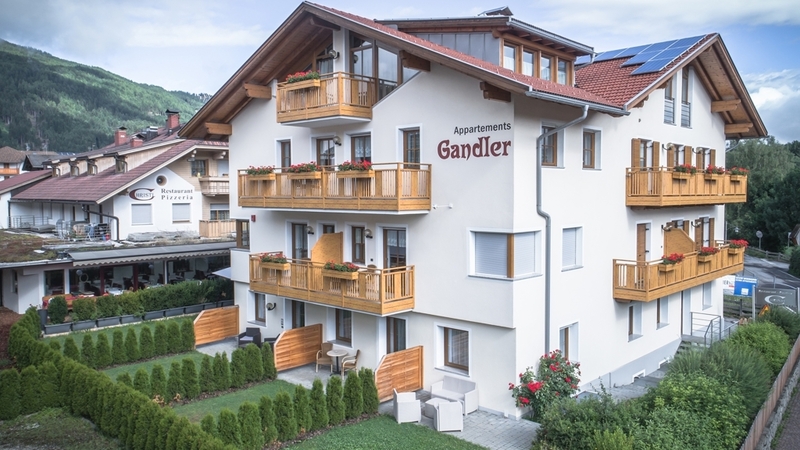 Furthermore the apartment house Gandler offers its guests a ski depot with shoe dryer and a washing machine in the garage. For the entertainment of the kids there is a playground right in front of the apartments. Olang in Pustertal provides nature-lovers many opportunities for leisure time activities. The beautiful natural landscape invites to hiking and discovery tours through the nature park Fanes-Sennes-Prags or the Dolomites of Sexten in summer and in the snowy months too. In winter there are free ski buses which bring all the winter-sports-fans directly to the lifts of the skiing paradise Kronplatz. With the "HOLIDAYPASS" you will get several benefits without any costs. With the Wather- and Tenniscard our guests have free entry in the outdoor swimming pool of Valdaora di Sotto and can use for free the 4 tennis courts. 2-3 person, mit 1 bedroom, living room, balkony/garden Our small apartments all consist of a dobblebedroom, bathroom/shower and bidet, kitchen with couch and tv, cookingline and fridge, hotplate, coffeemaker, dishes, safe and kettle Free W-Lan in the apartments For those skiers, there is a ski depot equipped with a boot dryer. As well at your disposal is a washing machine and our underground parking. For our small guests, we have a children’s playground directly in front of our house, the holidaypass is also free. 2-4 persons, 2 bedrooms, living room, shower/toilet, balcony our middle apartments all consist of two dobblebedrooms, bathroom/shower and bidet, kitchen with couch and tv, cookingline and fridge, hotplate, coffeemaker, dishes, safe and kettle Free W-Lan in the apartments For those skiers, there is a ski depot equipped with a boot dryer. As well at your disposal is a washing machine and our underground parking. For our small guests, we have a children’s playground directly in front of our house, the holidaypass is also free. 4-5 persons, 2 bedrooms, living room, shower/toilet, balcony Our bigger apartments type C all consist of one dobblebedroom, one room with three beds, 2 bathrooms/shower and bidet, kitchen with couch and tv, cookingline and fridge, hotplate, coffeemaker, dishes, safe and kettle Free W-Lan in the apartments For those skiers, there is a ski depot equipped with a boot dryer. As well at your disposal is a washing machine and our underground parking. For our small guests, we have a children’s playground directly in front of our house, the holidaypass is also free. 6 persons, 3 bedrooms, living room, shower/toilet, balcony Our big apartment Type D consists of three dobblebedrooms, 2 bathrooms/shower and bidet, kitchen with tv, cookingline and fridge, hotplate, coffeemaker, dishes, safe and kettle Free W-Lan in the apartments For those skiers, there is a ski depot equipped with a boot dryer. As well at your disposal is a washing machine and our underground parking. For our small guests, we have a children’s playground directly in front of our house, the holidaypass is also free. Gratis Skibus, Deckchair, Ski depot in the house, Pets allowed, Snow boot dryer, Int he village centre, Shops in the environs, above 1000 m a.s.l.